So little time, so much to see. Ask visitors at the architecture Biennale in Venice his or her favourite installation and pavilion and you get a different answer every time. Here are the favourites of Dirk, Eireen, Job, Jurjen and Marina. The national presentations in the Giardini make the Biennale an unusually curious fair in which national identity and architecture not always go easily hand in hand. The British pavilion attracts attention with its exceptionally peculiar interpretation of this situation by MUF studio. It resulted in a surprising collection of objects and installations in the pavilions four rooms that gathers together ecology, education, travel stories, photography, sketches, and the 2012 Olympic Games. The travels of Ruskin to Venice serve as a guideline for a story about exchange, exoticism, appropriation and the construction of new contexts and authentic experiences. Be prepared for stuffed and mounted ducks and other fowl, drawing lessons for classes, a piece of a ‘real-life’ lagoon that must be brought back to where it came from, and a 1:10 scale model of the Olympic stadium. One of the many underlying messages by the MUF ladies seems to be that brutalism is nothing less than an import from Venice, which isn’t that strange an idea if you recall that the Smithsons first saw the Pollock paintings of Peggy Guggenheim in her modest palazzo in 1949. The Belgian pavilion has a jewel of an exhibition based on a very simple yet effective concept. Portions of buildings that have been demolished or renovated and carefully ‘saved’ are now exhibited as representing the latest trend in the visual arts. Worn-out carpeting, computer floors, stair handrails and doorsteps prove to be eminently suitable for a second life as minimalist artwork. Traces of use and the process of small, daily wear and tear reveal their own beauty here. For that matter, the boundary between art and architecture disappears constantly at this Biennale edition by Sejima. That leads to pleasant and inspirational surprises that show that architectures own power enabled it to contribute most effectively to social issues and not be subordinate to the agendas of curators and museum directors. One final point of interest concerning the Belgian pavilion: the curators from Brussels and Wallonian curators have provided no Dutch text  just French, English, and Italian. Even here the Biennale can be somewhat politically charged. One of the reasons the present Biennale is so pleasant to visit is due to the many presentations of the assorted scale-models. From Branzi to Atelier Bow Wow, you can indulge yourself with magnificently made models. One exceptional contribution can be found in the Palazzo delle Esposizioni in the Giardini, where American sculptor and architect Tom Sachs is among the people showing work. Huge models of classics by Le Corbusier, among them the Unité, form an analysis as well as a commentary on modernism, its ideals and failures. The corroded and less-than-purist models that comprise Sachs installation are simultaneously humorist and intelligent, such as the combination of the Villa Savoye with a McDonalds restaurant, and call to mind an entirely different comparative analysis than the classic one so commonly made in the world of architecture between Le Corbusier and Loos. The most direct and unambiguous plea for the professional skill of the architect. Unfortunately too melancholically staged, it is as if you stepped back a hundred years in time, an everyday object such as a mobile phone feels like an overtly modern disruption. Nevertheless, this clever and very aesthetic marketing trick is convincing: it conveys an admirable thoroughness and control. 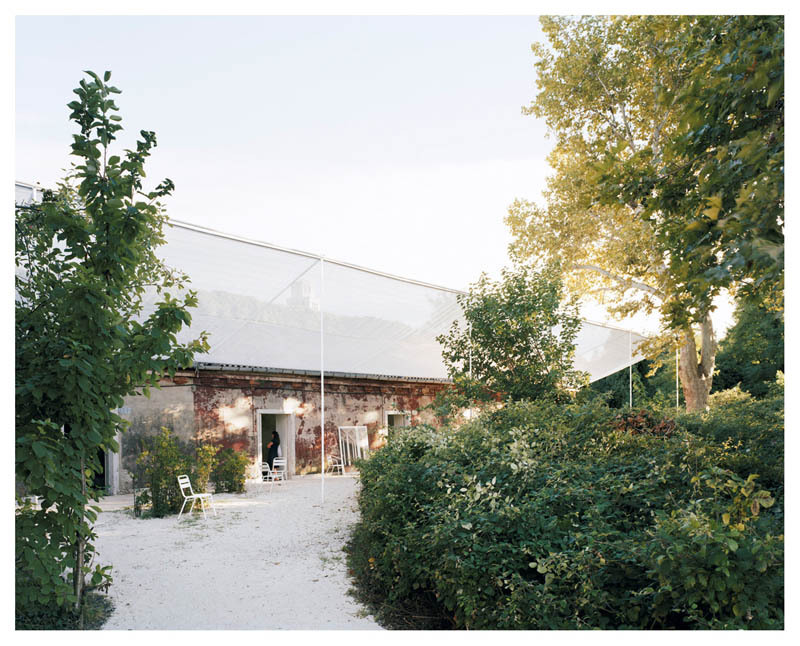 The clear-cut and very precise presentation from the colleagues at OFFICE and works by Bas Princen form a first complete presentation that is very successful: balanced and direct. There is clearly a shared focus and dialogue. Im curious where this will lead to, for the work of both is strong enough to stand on its own. Visit this pavilion directly after the French pavilion and you will not find a greater contrast. This dry documentary on Swiss bridges is a welcome relief. The extremely boring and restrained series of black and white photographs aspire to nothing more than to show the wealth of simple and logical constructions. Amid magnificent and less magnificent installations, intriguing and less intriguing exhibits and depressing and less depressing architectural promotions, I would like to name three discoveries that inspire me, even now, back at home. The working plans of the Ordos 100-house by architects de vylder vinck taillieu can be seen on the north side in the fourth room of the Arsenale. Look them over very carefully and discover the passion and love with which this Belgian office has fused seven houses into one insane dream house. The Dutch Atlas of Vacancy by Joost Grootens, seen on the upper floor of the Dutch pavilion in the Giardini. A colossal job, done for some of the vacant buildings and that appeals one more time to streamline all relevant subsidy procedures in the Netherlands so that Joost can finish his very last and most beautiful atlas. For this Biennale, curator Kazuyo Sejima came up with the overall theme of People meet in Architecture. This theme has been interpreted by the Rotor team in a very individual manner with an exhibition of traces of human presence in the Belgian pavilion: traces on the walls, floors and stairs that come into existence through frequent use. 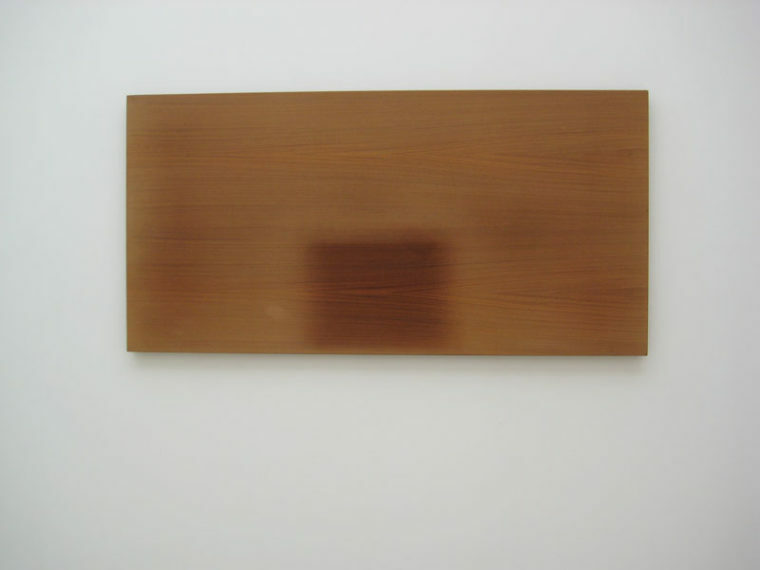 The form of presentation, as if it were about abstract artworks, gives the dirty pieces of carpeting extra levels of meaning. Usus/users forms a welcome contrast with the desire for absolute perfection that some architects strive for. Before visiting the Belgian pavilion, you should view the shameless 3D promotional film that Wim Wenders made for the Rolex Learning Centre, designed by Sejima, in Lausanne. Hovering in front of the building, we meet young, fresh people who, seating behind identical Apple laptops, happily relate to people like them, their surroundings and most of all themselves. Plants, invalid lifts, railings, and other traces of conquest after completion were removed from the building for this film. People meet in Architecture according to Sejima and Rotor: you wont find two more differing approaches at this Biennale. The Serbian pavilion focuses entirely on interaction among visitors. Plants in four pans on wheels provoke an irresistible need to play. Even the large seesaws in bizarre shapes are fascinating. Suddenly you hear yourself asking total strangers if they want to come and play. The catalogue is full of empty pages, you can mess about in a corner, and just for a moment you think youre in New Babylon. Of course you have to visit the Dutch pavilion, even if only to discuss if its a good or brilliant pavilion  the only two choices according to the Dutch. 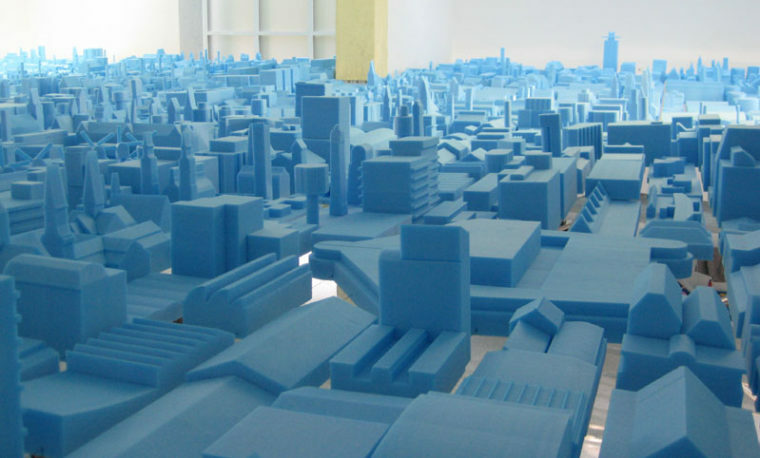 And if VacantNL makes you think of In Holland staat een huis: 100,000 new homes by Adriaan Geuze. And if there are enough creative and service industries in the Netherlands to temporarily fill all those vacant buildings. And what the influence and meaning of the anti-squatting law is (by the way, the term anti-squatting law doesnt occur in the pavilion). And why the Amsterdam Shell tower is among the models. And whether temporary vacancy is a social problem or a problem for the Zadelhoffs of this world, and so forth. The saddest story of the Biennale is about the Venezuelan pavilion. It is closed. President Cháves does not want to spend any money on an exhibition when it can be better spent on his people. A young architect expressed her disbelief and frustration with tears in her eyes: F****** Cháves. The Biennale, a world stage where Venezuelan architects can present themselves, how can you pass up such an opportunity? 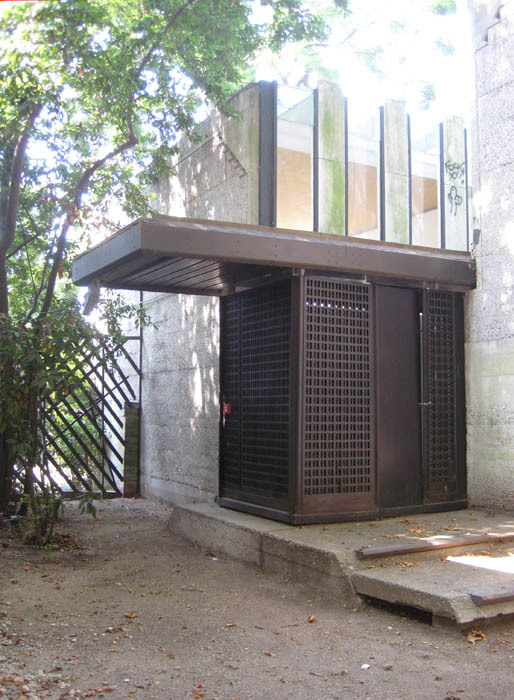 And did you know that Cháves is planning to sell this beautiful pavilion designed by Scarpa, because what use is art for the people? Where populism can all but lead to. Besides a thousand other things, architecture is mainly the search for constructing. Three contributions at this Biennale show in an infectious manner how architecture comes about and what role a design process can play. Look through their open and searching eyes and see exceptional projects be created. First of all, there is studio Mumbai Architects, which has apparently moved its entire office interior to Venice. In their exhibition Work-space this Indian collective has made a kind of Wunderkammer full of exotic materials, timber joints and roof details at full scale. But there are also beautiful wooden miniature models, with which the carpenters explain to the architects how a detail could be best executed. It is this dialogue with the workmen that determines the final result. The possibilities to build in India are experienced as you touch the samples of a soft self-levelling floor of a mysterious material and see hardwood that as a Dutch architect you would burn for in eco-hell. Their display cabinets show the daily practice of constructing and offer insight into a way of working that results in strong contextual architecture. The contribution of the Belgian studio of Vylder Vinck Taillieu also deals with the iterative process of constructing. Simple perspectives, working plans and scale-models show a design study for a Chinese house, for which seven houses have been inimitably pushed into one another. This creates peculiar design problems that have eagerly been seized and exploited. 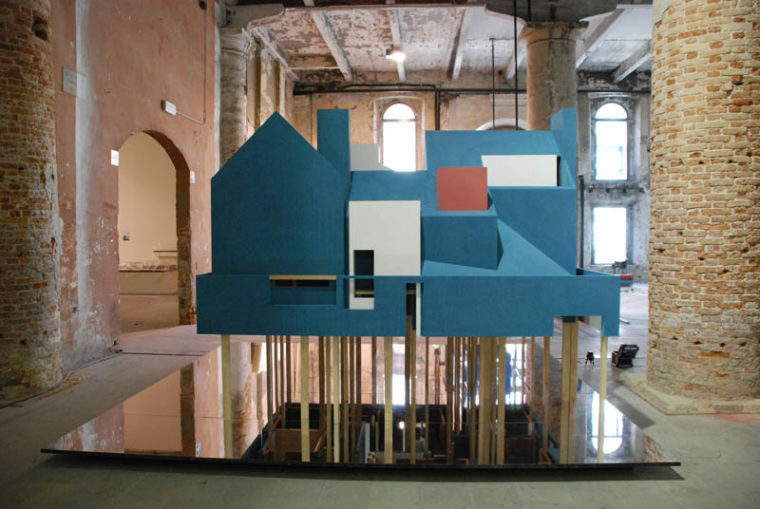 A large scale-model of this house was made especially for the Biennale and stands on long piles, so that the ground floor is at eye-level. A special mirror on the floor allows you to see an upside down view of the interior and reveals the complete original architectural language. The entire composition exudes the pleasure of the search, where not only seven houses, but also a complete oeuvre is packed into one project. It was the Brussels collective Rotor that conducted a study into material and the meaning of the process of wear and tear for the Belgian pavilion. By looking carefully, they analysed used rooms and made beautiful discoveries. 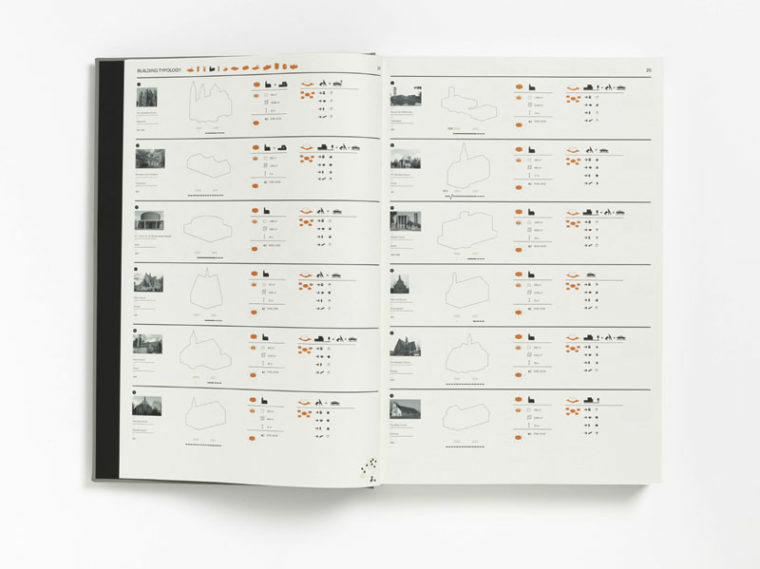 The analysis came together in a magnificent book called Usus/Users. A colourful collection of used tabletops, handrails and lift doors form the exhibition. Even single item is worn and shabby, but in these museum surroundings they become beautiful once again. Moreover, Rotor makes you a participant in the research process and you discover traces and patterns on your own, recognise instructions and changes in use. Inspirational in an unexpected manner.